Windows 7 represents the first viable upgrade from Windows XP for PC users in many ways, especially considering that Vista was largely overlooked due to various problems with compatibility and performance. For engineering and scientific applications, the combination of Windows 7 (64-bit) and the latest version of LabVIEW and NI Device Drivers make it possible to tap into the potential of 64-bit hardware thanks to native support. 64-bit versions of operating systems such as Windows Vista and Windows 7 are not automatically faster than their 32-bit counterparts. In some cases, they may even perform slower because of the larger pointers as well unrelated OS overhead. Overall, an application’s performance depends on what it is used for and how it is implemented. Emulated applications running within the Windows on Windows (WOW) 64 layer (discussed in more detail later in this article) will not be able to address any more memory than they could on a 32-bit system. Most 32-bit software will still function because of a Microsoft emulation layer. This emulation layer, known as Windows on Windows 64 or WoW64, enables 32-bit programs to run as though on a 32-bit version of Windows by translating instructions passing in and out of 32-bit applications into 64-bit instructions. Emulated programs act as though they are running on an x86 computer and operate within the 2 GB of virtual memory that a 32-bit version of Windows allocates to every process. However, despite Wow64, 32-bit programs on 64-bit versions of Windows Vista and Windows 7 cannot take advantage of the larger 64-bit address spaces or wider 64-bit registers on 64-bit processors. The transition to the 64-bit architecture is overwhelmingly driven by the limitations of the x86 architecture in terms of addressing memory. Applications running on a 64-bit edition of Windows should theoretically experience improved performance because of the larger quantity of available memory, even if the application is running within the WoW64 layer. Much like the advantage offered by increasing physical memory in a 32-bit system, the larger memory space on 64-bit versions of Windows Vista and Windows 7 allows more processes to actively reside in the system RAM simultaneously. It allows allows users to add additional RAM beyond the previous 4 GB limit, up to the amount supported by the mainboard. This change potentially eliminates or reduces time spent loading and switching between processes, a condition that can lead to “thrashing” when all the processor’s efforts are spent merely loading and switching between threads. To reap the benefits of a 64-bit operating system such as Windows Vista x64 Edition, you should invest in a large amount of RAM (4 GB or more) and a compatible motherboard. For 64-bit version of Windows, Microsoft also requires a digital signature on all drivers. By requiring new, signed drivers, Microsoft aims to reduce failures and improve stability by shining a spotlight on vendor responsibility for bugs. With 32-bit version of Windows, administrators can install unsigned drivers, but Microsoft continues to discourage their use. All non-legacy National Instruments drivers are digitally signed and available for both the 32-bit and 64-bit editions of Windows. Windows XP was available only as a 32-bit operating system for 32-bit processors until 2005, when Microsoft released a 64-bit edition. This version of Windows XP did not see widespread adoption due to a lack of available software and hardware drivers. Vendors were hesitant to invest in a platform that seemed more novel than practical for consumers at the time, which led to compatibility issues with common devices such as sound and graphics cards. Developers interested in using 64-bit operating systems found the migration path to Vista much smoother due to the WOW emulation layer, which allowed older applications to run. However, most did not see performance increases due to a lack of applications with native support for 64-bit processors. 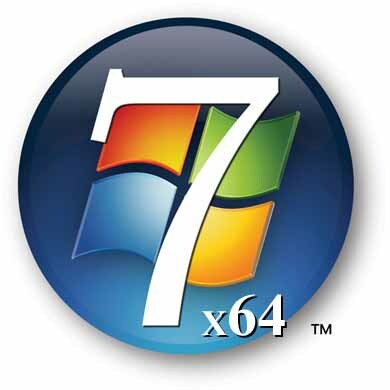 Given the increasing number of 64-bit processors, Windows 7 x64 Edition is unlikely to suffer the same lack of support. A potential drawback stems from the possibility that some hardware vendors may not release Windows Vista/7 x64 Edition-compatible versions of drivers quickly. However, the feasibility of successfully making the jump to Windows 7 x64 Edition depends largely on your application and its requirements. For some, Windows 7 x64 Edition offers much needed performance improvement, while for others, it could needlessly complicate applications designed to operate on x86 platforms or even have a negative effect on performance.